They’re not the fastest. They’re not the lightest, nor the most agile. And they’re certainly not the cheapest. But do modern Rolls-Royces still manage to convince us that they are unsurpassed in modern motoring? Are they really, as their creators assert, the ‘Best Motor Cars in The World’? It was a question we wanted to answer and so, with no little trepidation, we dropped the Rolls-Royce PR team and line and waited, with bated breath. And then confirmation landed: one week, two cars. Seven days to enjoy two of this most opulent of brand’s most opulent of creations. 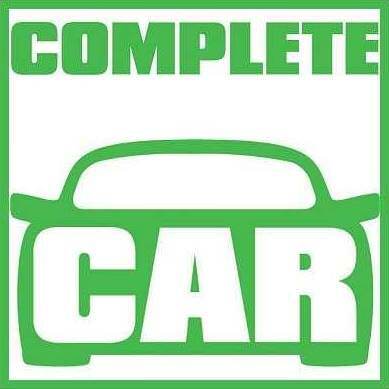 A week to sample the vehicles that the ‘other half’ use, cars which seem to have no peers in the modern world. Well, seriously, come on; which marque can hope to match Rolls-Royce for sheer, unmitigated luxury? Mention the B-word (hint: Crewe) and no doubt the powers that be at Goodwood would start twitching with incandescent rage. There’s little argument that a B-E-N-T-L-E-Y from the Volkswagen Group era is a marvellous, hand-built piece of excellence, but they don’t quite seem to get to that same exalted plane of unrelenting quality as Rolls. After that, who else is there? Every other prestige marque you can think of focuses more on speed than comfort – so all of Ferrari, Lamborghini, Pagani, Koenigsegg, McLaren and Porsche are out. Aston Martin might be in with a shout, although its confections (too) are a little sportier in taste. Mercedes can sometimes get close, being the company that invented the motor car (after all), but you have to say that when it comes to cosseting decadence, Rolls was the brand which arguably perfected the automobile. This position that Rolls-Royce occupies at the top of the automotive tree – one which, R-R itself would most likely argue, actually elevates it into another realm, that of ‘luxury goods’, like gemstones, yachts, villas in exotic locations and private jets – is therefore an envious one, and the marque’s reputation is no more forcefully hammered home than when the first of our two Rollers arrives. It’s a Dawn, the brand’s four-seater convertible, and it could be argued that there’s no more desirable, show-stopping thing in the mechanical world than a Rolls soft-top. Which is as it should be, because our test car weighed in at around €651,000. Gulp. It sighs to a halt in front of us and our first impressions are that it’s in a stupendous colour combination of Dark Emerald paint with a Black and Seashell interior, plus it has the mighty Aero Cowling affixed in the rear passenger compartment. Getting this out is reasonably simple, a process that can be executed using just two handles in the lockable storage compartments… unless someone has tightened the four Allen bolts underneath it too much, in which case you need an Allen key to slacken them off. We wonder, idly, if any Rolls-Royce owner, ever, has even the faintest conception of what an Allen key might be, never mind having used one personally. Nevertheless, with elegant lines on its 5.3-metre frame and its huge, sound-deadening hood folded away, driving the Dawn is an experience that transcends mere motoring. Oh, sure, it’s not particularly engaging to steer in the way a sports car may be, as it is geared exclusively for wafting, but with a 571hp 6.6-litre biturbo V12 on hand, effortlessly serving up enormous-yet-discreet dollops of torque when you need them, performance is hardly lacking. And to drive a Rolls presents a thrill in other ways – its sheer suppression of exterior noise contributors, the exquisite nature of its build quality, the ride comfort that is unmatched by anything else even remotely car shaped. It elicits exultation in its occupants and that, let us tell you, means it is no less exciting to drive at 80km/h on a country road than a Ferrari is at full chat on a racetrack. However, after three days of tooling around in the Dawn, thinking that modern motoring could not get any finer than this, something quite remarkable happened. The beautiful convertible, which is – admittedly – based on Rolls-Royce’s first-generation of BMW-derived technology, was taken away. And replaced with a Phantom VIII, short-wheelbase. Which proceeded to overwrite everything the Dawn had keyed into our brain about luxury, comfort and opulence, with a whole new set of parameters which surely cannot be matched in our lifetime. Seriously. What. A. Machine. What a thing. What a marvellous, marvellous creation. It almost behoves us to not mention something as gauche as its price, but we feel we ought to point out that our test Phantom – once again, in a most splendid colour combo of sedate yet classy Anthracite grey exterior with a light Seashell and black-detailed interior – rocked in with an €840,000 ticket. Understating it as much as we can, that’s clearly a lot of money. But the Rolls-Royce Phantom is a lot of craftsmanship. 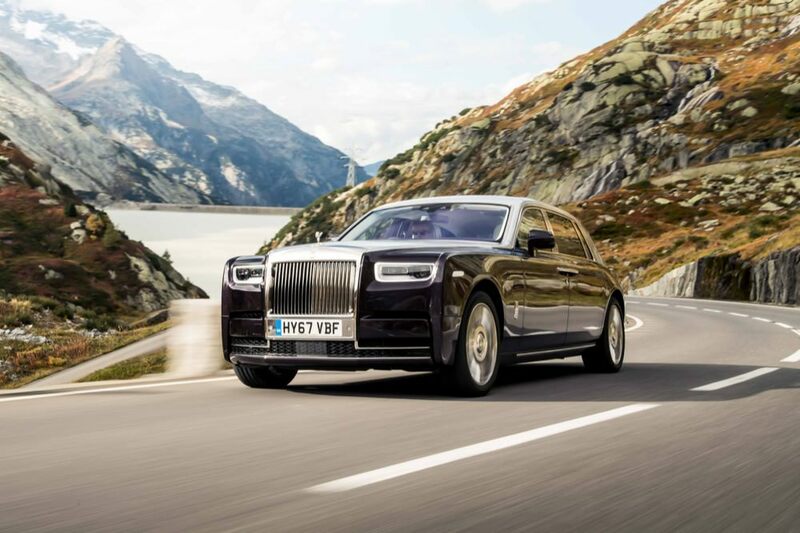 To call it a mere car might be a slight on its character, because this thing is built on Rolls’ new aluminium spaceframe ‘Architecture of Luxury’ platform – it’s the same chassis that underpins the Cullinan SUV, which we last sampled halfway up a mountain in Wyoming – and it is just a magical vehicle to be in and around. The experience of the Rolls-Royce Phantom begins when you swing open its impossibly hefty yet strangely easy-to-move doors and sink into what are the most comfortable chairs we’ve ever sat in. Not just in terms of cars (sorry, Volvo, the oft-held tenet about your pews and their position in the automotive world simply isn’t true), but possibly in terms of all furniture in the world. Up above, there’s the glorious spectacle of the Starlight Headliner, still one of our favourite interior features in the motoring industry, and the dashboard is dominated by a Cascade Steel Gallery. In front of the driver resides the oh-so-traditional ‘Power Reserve’ gauge in the dash (the Phantom delivers the same 571hp as the Dawn, but this time from a twin-turbo 6.75-litre V12, which means another 80Nm for a colossal 900Nm peak), yet you won’t be troubling this much – flatten the Roller’s organ-stop throttle to the thick, plush lambs-wool carpets and there’ll be a distant, muted rumble, the impression of some speed being piled on and barely any extra noise filtering its way into the cabin… and yet, if you look at the speedo, you’ll see the stately home you’re in is travelling at a severe rate of knots. It also trumps the Rolls-Royce Dawn for popular appeal. We could barely get anywhere in the Phantom during our few precious days with it, because people always wanted to peer inside and sit in the seats and look at the stars in the perforated leather above them and ask how much it was and say it was simply divine, no matter the cost. And, when we were actually moving in it, other road-users would gawp at its gigantic, regal shape, with no attempt to conceal their stupefaction. It really is quite the statement piece. Regrettably, though, it had to go back, and our illusions of being another Lord Sugar or, heaven forfend, Simon Cowell were shattered. But we’re well aware we were exceptionally lucky sods for seven says. However, as to the ‘Best Motor Car in The World’ claim? Having driven the Dawn, we’d have probably said ‘hmm, possibly’. Having been in the Rolls-Royce Phantom VIII, though, we’re convinced of our answer. And it’s ‘definitely’.